In 2015, Canadian hockey prospect Connor McDavid was selected number one overall in the NHL Draft by the Edmonton Oilers. Since being selected by the Oilers, McDavid has become one of the top young talent in the NHL, and won the Art Ross Trophy last season. With McDavid, the Oilers made the playoffs last season after a 10-year absence, and now have their sights set on winning the Stanley Cup for the first time since 1990. The 2018 Stanley Cup betting odds have the Oilers tied with the Pittsburgh Penguins as favorites to win it all this season, however, a Canadian team hasn’t won it since 1993, and McDavid and his teammates will be trying to end the drought this season. In a recent interview, the 20-year-old Canadian said his earliest memory of a Canadian team to play in the Stanley Cup Finals, the 2004 Calgary Flames, is very hazy because he was seven at the time. McDavid wasn’t even born yet when the Canadiens won the Stanley Cup in 1993, so it wasn’t surprising to hear him wonder what happens when a Canadian team wins the Stanley Cup. McDavid asked reporters if the winning team visits the White House or if they visit the Canadian Parliament instead. McDavid and his teammates will have a chance to find out where the champions visit this season if they win the Stanley Cup. In fact, all the Canadian teams in the NHL, with the exception of Winnipeg and Vancouver, have a legitimate chance of winning the Stanley Cup this season, which has to be music to the ears of Canadian fans, especially after the 2015-16 season, when no Canadian team made the playoffs. Since Canada has always been good at hockey, their lack of a Stanley Cup victory in over 24 years can’t be attributed to the players. Canadian players like Sidney Crosby have won the Stanley Cup playing for American teams, but the Canadian clubs have been unable to win because the teams haven’t had good management in a while. However, their executives have done a decent job fielding competitive teams in the past season, and the excitement is gripping hockey fans in Canada. You can add McDavid to the list of excited Canadians, because he too believes there are a lot of good Canadian teams in the NHL this season. McDavid pointed out that his team is opening the season against Calgary, which was a playoff team last season. McDavid also thinks Toronto has a good chance of competing for the Stanley Cup this season. 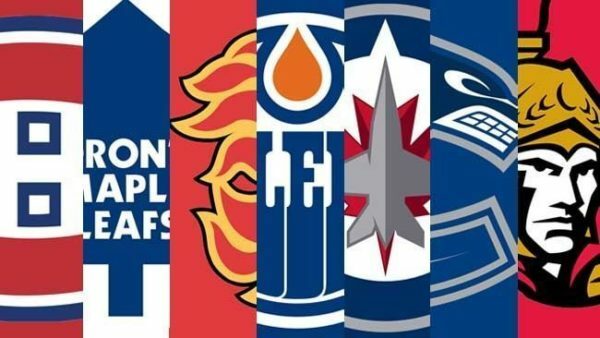 While some of these teams boast impressive rosters, Canadian fans need to be a little cautious because the amount of talent they have on the teams don’t matter if the players can’t come together and play as a team. Toronto Maple Leafs general manager Lou Lamoriello said he isn’t worried about the other Canadian teams and their chances of winning the Stanley Cup, because his focus is solely on his team. Two years ago, the Senators, Canadiens, and Maple Leafs were at the bottom of the Atlantic Division, and the Oilers, Canucks and Flames were at the bottom of the Pacific Division. Now, all those teams with the exception of Vancouver are expected to be in contention for the Stanley Cup.